I have always been searching subscription box to subscribe to, no doubts there are a lot of them in the market but none of them ship to Hong Kong. Until recently, I have discovered the Look Fantastic Beauty Box, it mainly contains products from the UK, but most importantly, it ships to Hong Kong for free! This is the greatest news for me ever and I immediately clicked on the subscribe button for a 3-month trial. My excitement of receiving a subscription box is indescribable, so except subscribing their boxes for the future, I also browsed their previous boxes and ordered a box from February that I personally thought has the best combination of everything I want. So the box has finally arrived and the feeling is incredible. Being able to receive a box of beauty products every month, unboxing different products from a beautiful gift box feels like Christmas every time. And I believe it is also the feeling people are looking for when they subscribe to different subscription boxes. 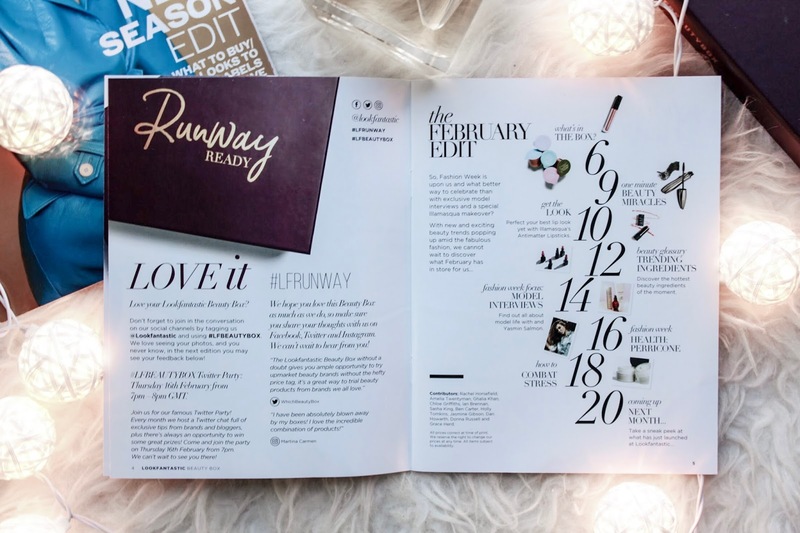 I chose the February edition as I am interested in most products in the box, and it comes in great values as most of the products are in full size. Similar to other beauty subscription boxes, the Look Fantastic Box comes with its own catalog of featured products, along with some other recommendation of new products. The February box comes in 6 products, and 5 of them are in full size! Time has been long wasted, so let's break it down product by product! I have extremely dry skin, so dry that they will crack in winter. I also have extremely sensitive skin so I choose all my moisturizer carefully to avoid allergies. 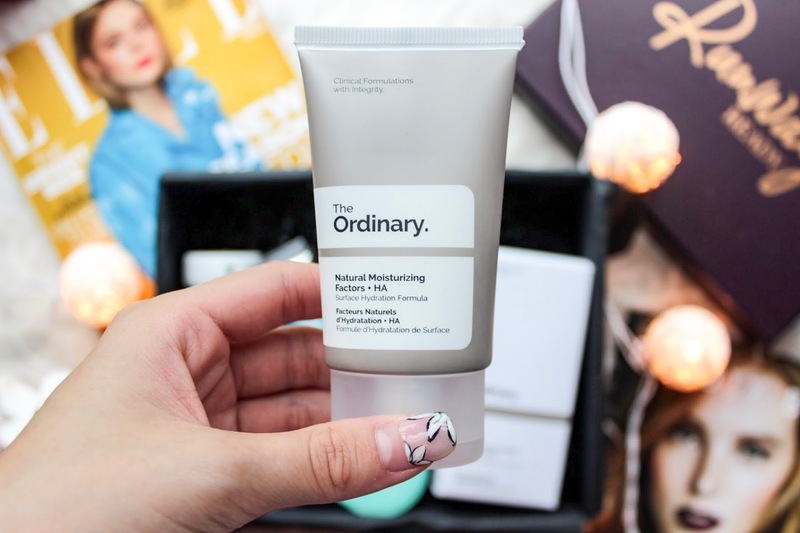 I heard of the brand The Ordinary before and I have always wanted to try it, this beauty box now gives me the opportunity. I have to say this moisturizer is really hydrating and non-provoking, it also does not feel greasy at all. For my skin condition, I will have to layer this moisturizer with gel or something else, but if you have normal skin or just slightly dry skin, this moisturizer is the only moisturizer you need. If you are looking for something more hydrating, this can be your choice but not the best. However, for the price and the amount you get out of it, the quality is no doubt really high and I definitely recommend this product as a hydrating moisturizer. 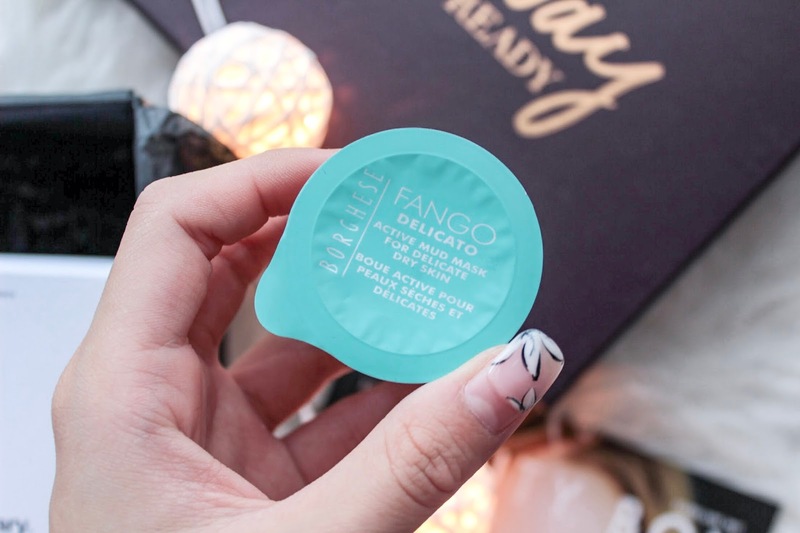 I personally love mud mask over sheet mask, because I have a small face and my eyes, nose, and mouth will not fit in the holes of sheet mask nicely without wrinkling the mask. Mud mask is much flexible and convenient for me. For this Borghese sample, I am able to use 2 times because my face does not need a large amount, so it is definitely more worthy if you have a small face like me. The active mud mask really clears out all the impurities, my face definitely looks cleaner after I put it on. I have really dry skin but Borghese mud mask helps to keep it hydrated after washing off, which is a bonus. 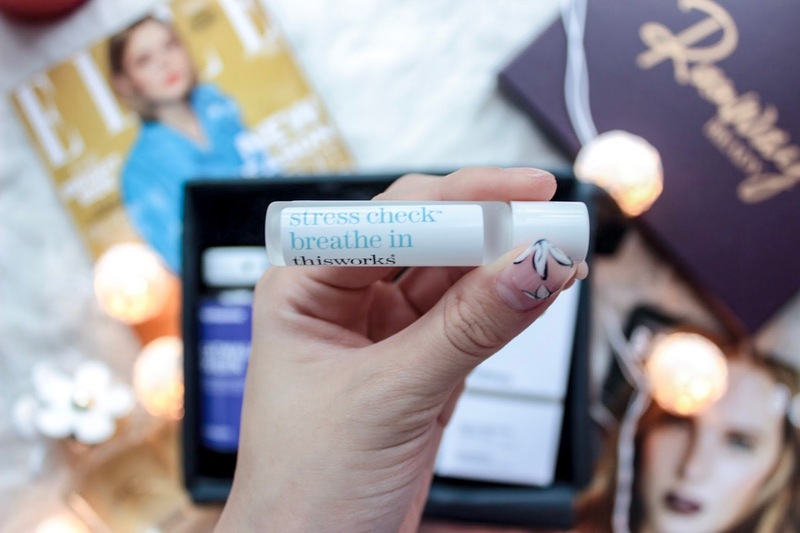 This is a new product I have come across, it is some kind of relaxing inhaler fused with essential oil and different natural herbal ingredients. I have a habit of burning essential oil as relaxation, this roll-on is similar to those essential oils. I usually roll this on my pulse point and inhale deeply before I sleep. The chamomile scent is really calming and relaxing, definitely helps you to relax before sleeping, also a great substitute if you are not an essential oil user. 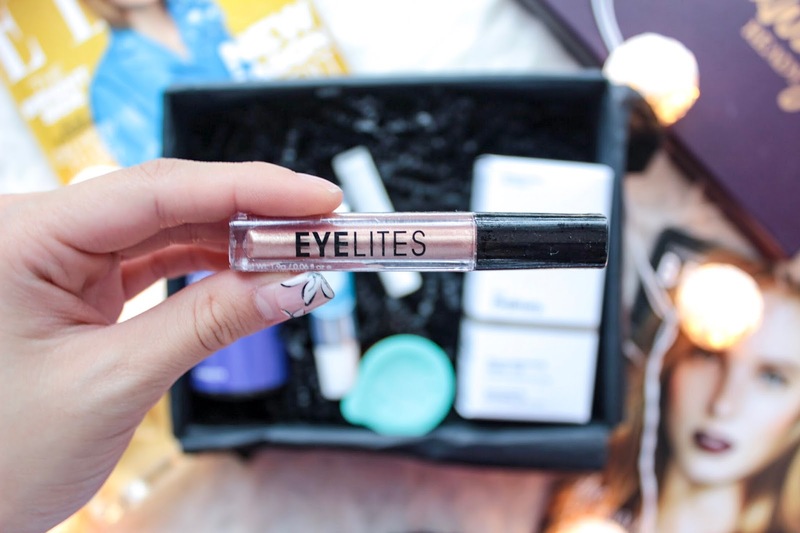 By far the best eye product I have ever come across! I always have puffy eyes and dark circles in the morning, and puffy eyes are awful when it comes to eye makeup. I tried this on in one of those mornings when I have extremely bloated eyes and it works perfectly. It took around 15 minutes to kick-in but it works extremely well, knock-out most of the puffiness. If you are a bloating person like me, you will definitely want to get this, it is the morning saver. I am not really an eye shadow person because putting eyeshadow simply needs too much of a time and I do not have that kind of time in the morning. If I really need eye shadow, I tend to use eyeshadow stick now s they are more time-saving instead of my NAKED palette. This metallic shadow is a liquid kind of eye shadow which works similarly as an eye shadow stick. The shades are lasting but not obvious. So if I really am applying with this eye shadow, I will have to layer it on a darker eyeshadow layer to make it pop. I love food supplements, I think because I come from a family who always takes food supplements. I do not take them every day as I tend to be forgetful. But food supplements are always great for your body to absorb the vitamins and nutrients you do not receive in the end of the day. 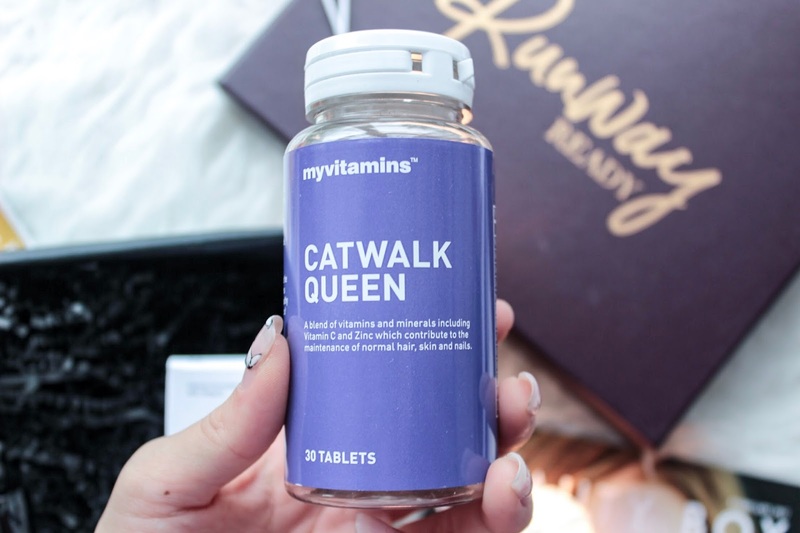 I will not guarantee my experience with the catwalk queen as I do not take them every day as instructed, but my nails do feel stronger after taking them. I cannot guarantee for my skin and hair as I use a lot of skincare and haircare products. The box also comes with a full Elle magazine of that month, this will be February as I ordered the February beauty box. 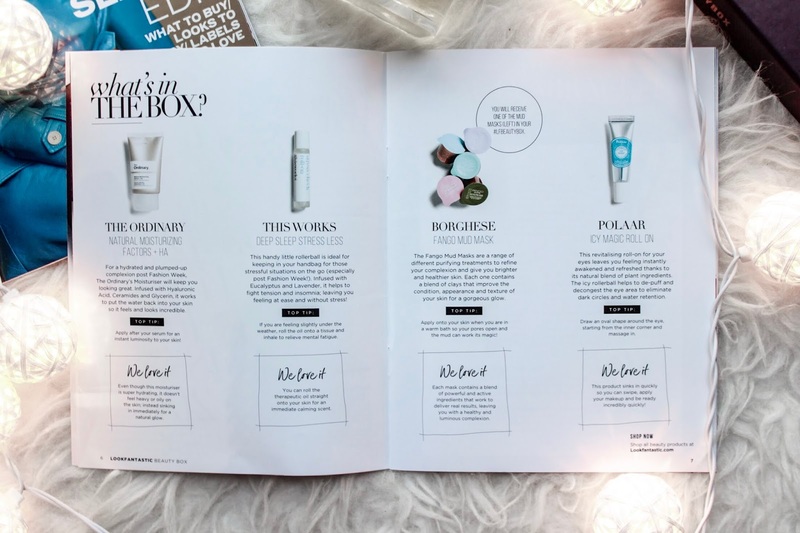 Unlike most other subscription boxes like Birchbox and Glossy box, users are unable to add more products into the box, the products are also not "tailor-picked" according to each user's preference. So if you are looking for a full subscription box experience, Look Fantastic Box may not be the best. However, if you are looking for a combination of beauty products in great value, then you are looking at it! They also provide free shipping worldwide, which is a bonus if you are in Hong Kong like me. Overall, the Look Fantastic Beauty Box does not provide a lot of cosmetic products like other subscription boxes, but rather more of skincare and health products. These selections are also what favors me as for me, cosmetic products are some really personal products and I would rather try them on at the counter instead of random samples sending to me. The value of the products in the Look Fantastic Beauty Box is really high, definitely worthy of getting them all at a price of 20 USD. What do you think of the products in Look Fantastic February Beauty Box? Tell me about your subscription box experience, and definitely tell me if there are any other subscription boxes you know that ships internationally, I would love to subscribe to them! Stay tune for the next review of the Look Fantastic Beauty Box (July edition)!